The team at Village Square Veterinary Clinic is comprised of highly trained and experienced animal health professionals who have a genuine love for working with pets. 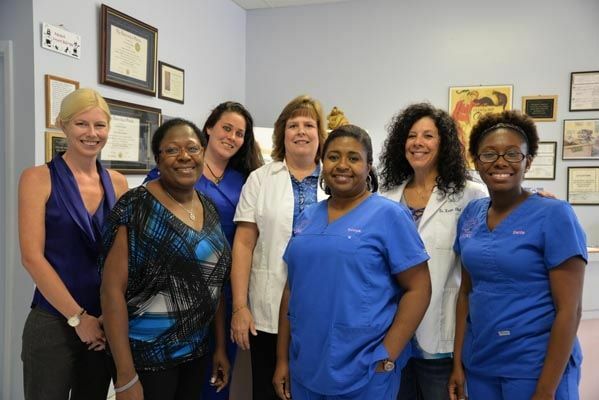 Our staff treats every patient with the highest quality of medical care as well as a gentle touch. Dr. Cherry Douglas, DVM, graduated from the University Of Florida College Of Veterinary Medicine in 1997. 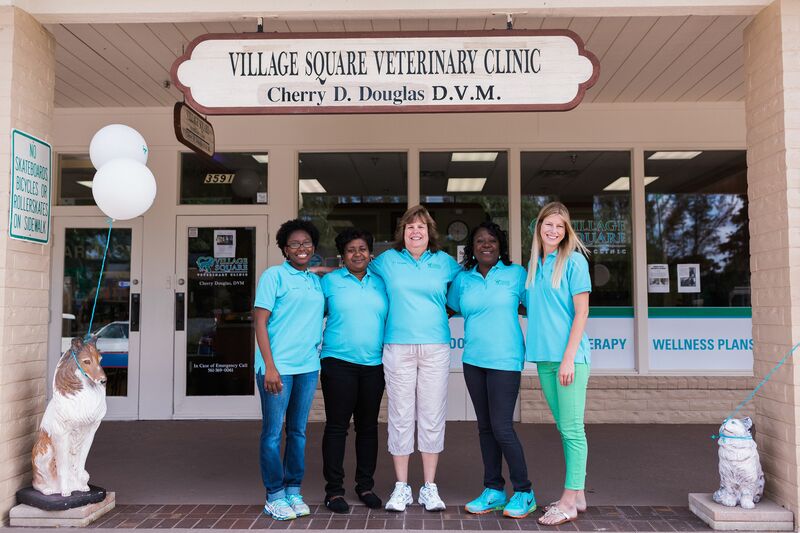 After starting a career in Gainesville, FL, she moved back home to Boynton Beach and worked in Boca Raton before fulfilling a lifelong dream of having her own practice here at Florida Village Square Veterinary Clinic. She became the President of the Palm Beach Veterinary Society in 2006. She is a member of the American Veterinary Medical Association and the Florida Veterinary Medical Association from whom she recently received the 2005 Gold Star Award for Outstanding Contributions to Veterinary Medicine. Dr. Douglas is married with two children, and has a Viszla named Samson. She enjoys spending time with her family and watching Gator Football. Dr. Kristin Quisenberry grew up in Pittsburgh PA where she obtained her undergraduate degree from the University of Pittsburgh. She then went on to graduate from The Ohio State University as a doctor of Veterinary Medicine in 2005. She practiced small animal medicine and surgery in Pittsburgh until relocating to sunny Florida in August 2014. When you walk in the front door, you will be greeted by the friendly smiles of our receptionists, Joyce and Jodie. Joyce is a native Floridian who currently resides in Delray Beach. She is married with three children, four step children, four grand children, and one dog named Bently! She has been in the veterinary field for 18 years. Jodie grew up in Loxahatchee and has taken care of dogs, cats, and horses since she was 3 years old. She currently owns a horse named Whiskey and a dog named Hank. She has been in the veterinary field for 6 years. Tia is the PR Representative and has been working for Village Square Veterinary Clinic for over 10 years. She loves to scuba dive with her husband James and spend time with her furry babies, Fossil, Skyy, and Finnegan. Tonnya has been the office manager at Village Square Veterinary Clinic since 2005 and also has 20 plus years of veterinary technician experience. She resides in West Palm Beach with her husband, two children, German Shepherd, Cheyenne and French Bulldog, Evee. Timyra is our kennel manager and also assists the technicians. She has been with our clinic for 2 years now and is the happy Mom of a Shih Tzu named Bella and a cat named Rudy. Nikki has been a technician for 1 year and has worked in the veterinary field for 3 years. She is attending Florida Atlantic University where she is working towards a Bachelor's Degree in Biology. She is striving to someday become a veterinarian. Jaime has enjoyed working as a technician at Village Square for 1 year now, but has been in the veterinary field for over 15 years. She enjoys helping pet owners take great loving care of their four-legged friends. Suzy has been a veterinary technician for 16 years and lives in West Palm Beach. She has a Bullmastiff named Venus, a Pit Bull named Khaos, and a kitty named Dapane.